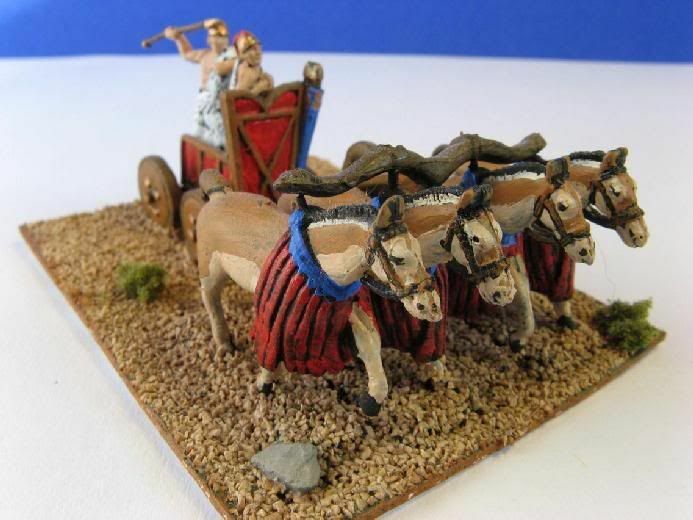 This army is composed of 1 Heavy Chariot (General), 8 Pike, and 3 Psiloi. 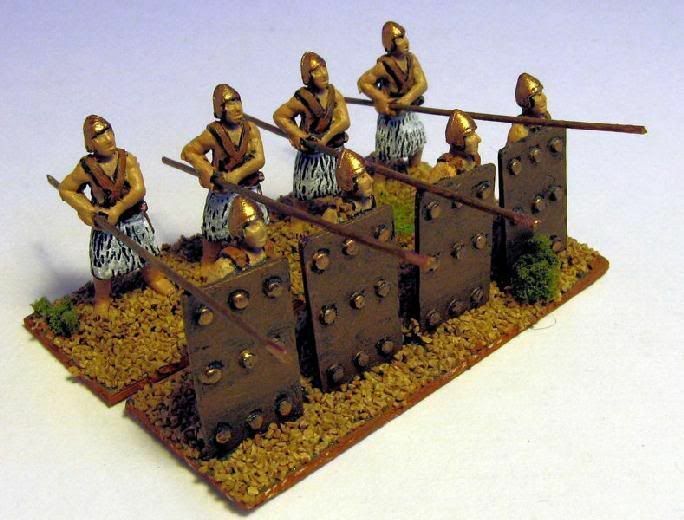 A very potent combination of mobility, firepower and steady troops. 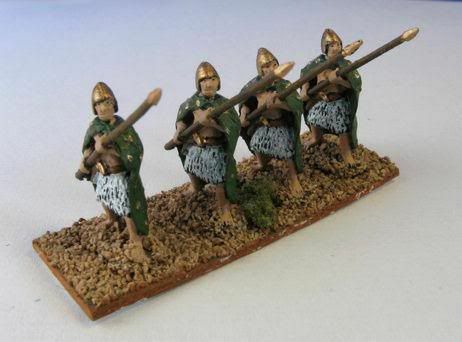 I modified one stand of Pikemen by using plastic broom bristles instead of the spears included to create longer pikes. 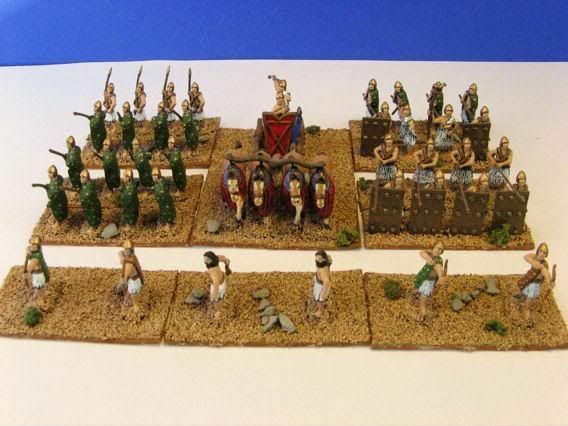 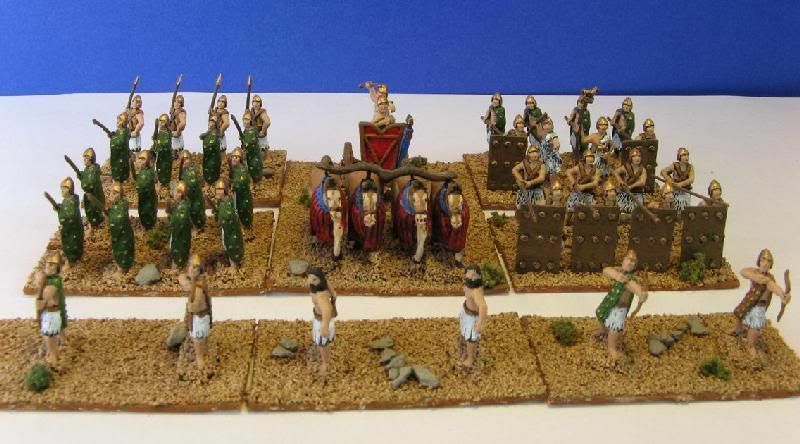 One box each of Sumerian infantry and Sumerian chariots was more than enough figures to produce an enemy Elam army as well.